The Abyss Joust - DOFUS Touch, a colossal MMO at your fingertips! The company ANKAMA GAMES, located at 75 Boulevard d'Armentières, 59100 Roubaix, France (hereinafter the "Organizer") and registered with the Lille Metropolitan Area Companies and Commerce Register (RCS) under the number 492 360 730, is holding, from April 25, 2018, to May 13, 2018 (Paris time), an amateur PvP competition for the video game DOFUS TOUCH entitled "The Abyss Joust" taking place exclusively online (hereinafter the "Tournament") in accordance with the terms set out in these regulations. Participation in the Tournament implies and entails the unconditional acceptance by the participants of these regulations (hereinafter the "Regulations"), and of the principle of the Tournament as well as the ethical rules applicable on Internet. Any person who violates one or more articles of the Regulations, or of the aforementioned conditions and rules, shall not be eligible to participate in the Tournament or receive any prize to which he/she may otherwise have been entitled. The Organizer may, at any time, amend the Regulations by informing the participants via the https://www.dofus-touch.com/ website in a timely manner. Additionally, an email will be sent to the participants. 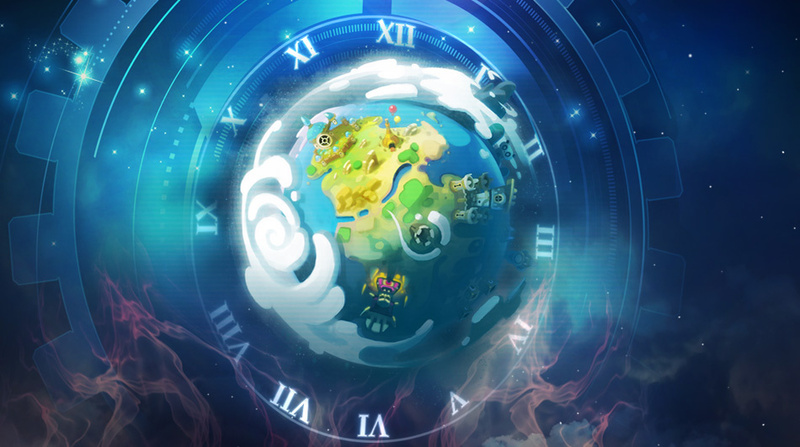 Participation in the Tournament is open, subject to the provisions of Article 2 of the Regulations, to any physical person of at least twelve (12) years of age, residing in any territory where the video game DOFUS TOUCH is accessible, with access to an Internet connection and in possession of an Ankama game account, excluding the Organizer's employees and their family members (spouses, ascendants, descendants, brothers, and sisters). The Organizer highlights the fact that any minor participating in the Tournament is deemed to be participating under the supervision of and with the consent of his/her parents, custodian(s), or legal guardian(s). The Organizer reserves the right to request written proof at any time, and to perform any verifications, as well as to disqualify any participating minor who does not submit such proof immediately, or by a pre-determined deadline. The Abyss Joust is open to teams of three separate players from the DOFUS Touch community, each having a character with a minimum level of 150 on one of the six game servers. To register, applicants must have an Ankama account that is certified in their name and be logged in to the www.dofus-touch.com website. During the final phases, if the Organizer determines that a player is using an account that is not certified in their name, the team shall be disqualified and replaced by the next best team. If you have questions concerning account certification, please visit the Support website: https://support.ankama.com/. 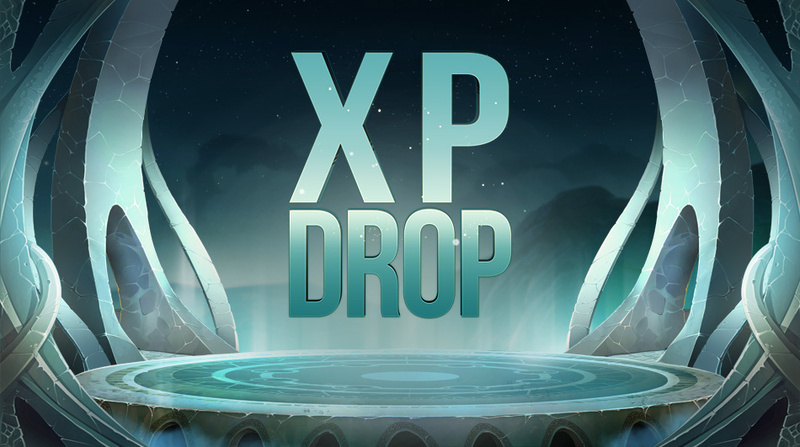 Once the registration has been pre-saved, the two teammates will instantly receive a team membership notification on the www.dofus-touch.com website. They must then personally visit this page to finalize their registration. A team is registered once the team leader has properly confirmed their team's information and the two teammates have each confirmed their membership. It is still possible for any of the three players to cancel their membership in a team, which will result in the team's automatic deregistration from the tournament. There is no substitution system for this Tournament. You know the dates and times when you must be available to play your matches. If you already know that you cannot be there, be a good sport and let someone else have your spot. Only one single registration per account and per person is permitted. If a player is found to have several characters registered by using several accounts, all of the teams they are registered in will be disqualified and all of the player's accounts penalized, even if the cheating is discovered after the start of the tournament. Participation in the Abyss Joust tournament is limited to 1,500 players and 500 teams. The first 500 teams to confirm their registration will be selected to take part in the tournament. Once this limit is reached, any team to register will be put on a waiting list. In the event a team is disqualified or deregistered before the competition starts, the next team on the waiting list, by order of confirmed registration, will be selected. The team and character names must comply with the rules set forth in Article 4.2.2 of the ToU under penalty of seeing their team disqualified by the organizer without the option of re-registering. Open registration for the Abyss Joust will start Thursday, April 12 at 12:00 PM (Paris Time) and end Tuesday, April 17 at 12:00 PM (Paris Time). Participation in the tournament is free of charge. Registering under a false identity or the identity of another person, providing false information, or registering under several identities will lead to the disqualification of the entire team. Generally speaking, any participation that does not comply with these regulations will lead to sanctions, up to and including the automatic disqualification of all members of the team, even when only one player is at fault. No team member can thereafter claim any compensation or indemnity of any kind. The organizer reserves the right to perform any and all verifications of compliance with the regulations at any time, without being required to systematically verify all players. In particular, the organizer may limit such verification to tournament winners. The organizer reserves the right to put any prizes awarded to the team prior to its disqualification back into play, or to remove those prizes from the prize list. The tournament takes place on a specific server set up for the occasion and closed to spectators (except with special permissions). Characters imported to the tournament server are blank copies of the original characters. Only the name, class, gender, and appearance are retained. They are therefore completely new and unequipped. Characters are automatically raised to level 200 on the tournament server. The characters' characteristics are reset and raised to 101 by default, with 995 natural points to distribute as the participant sees fit. The characters have all of the class spells to use alongside the game's "common" spells at level 6. Characters have access to a bank of pre-selected items with a perfect roll, as well as a stable containing a collection of level 100 Dragoturkeys. Incarnation weapons are not available. Smithmagic is not available on the tournament server. The wearing of shields and candy bonuses are disactivated on the tournament server. Characters receive a permanent bonus on the tournament server providing 1 extra action point (AP), 1 extra movement point (MP), and 1 extra Range. Characters may reset their characteristics between matches with the various NPCs available. When tournament mode is activated, participants do not see the initiative order in the timeline, nor the position of their opponents on the map during the fight preparation phase. This information will be revealed once all of the characters have clicked "ready" and the fight has commenced. Qualifiers are based on the Swiss Rounds system. Each team must participate in the 13 rounds indicated in the schedule. The times of the second and third rounds for each day are given for informational purposes only. It is possible that the start of these matches may be delayed, for whatever reason. Participants must ensure that they are available on match days and must pay attention to any announcements made in the red channel in-game to launch their fights. They must be prepared to play at a slightly later time than that announced. Tardiness or absence of any kind will not be tolerated. Teams that are absent or late will be eliminated from the tournament. Each team independently manages its fights. Players are asked to launch the preparation phase for their match at the scheduled time, according to the given times for rounds, and to begin fighting within 5 minutes of launching this phase. A 10-minute grace period will be allowed, after which the only team present will be awarded victory by default. After each fight, participants are responsible for completing an end-of-fight form - available on this page - to indicate which of the two teams won the match. It will be necessary to be logged on the site with the account used for the tournament. Pairing teams in Round 1 is conducted in a totally random draw. From round 2, teams are matched depending on the number of points they have accumulated. Teams having accumulated the most points are matched first. If there is an uneven number of teams in a points bracket, one team is matched with a team in the bracket below. If there is an uneven number of teams in the lowest points bracket, one of the worst teams will be given an automatic victory. It won't fight in the current round but it will obtain 3 points. The same team may not benefit from an automatic victory twice. Insofar as possible, we avoid matching two teams who have already fought one another. The random drawing of matches is carried out automatically by a software program. When a match reaches the end of the 20th turn (just before the counter goes to 21), it is stopped. If one of the two teams has a greater number of characters alive at that time (not counting the Osamodas' Spiritual Leash), they win. If both teams still have the same number of characters alive, the draw is declared. A second value is used to determine the winning team in case of a draw: the win percentage (WP). This is the average % of victories over the various opponents encountered by the team (not including automatic victories). NB: If TeamPts / (3 * NbFights) < 0.33, then this value is replaced by 0.33. This specification is used to reduce the impact of forfeits on the teams' WP. The top 16 teams to emerge from the qualification stage will qualify for the finals. Primarily, a team's position in the rankings is determined by the points they have accumulated. In the event of a draw between several teams, the WP (see "Advanced Points") is used. The second phase of qualifications takes place according to a sudden death fight-tree system. A draw can no longer occur in this phase. All matches will be played "best two out of three" (BO3). The referee selects a captain randomly. That captain eliminates one map from the six (6) available. The opposing captain eliminates a map in turn. This process continues until only one map remains, on which the first fight will take place. The team that lost the first fight selects a map of their choice. The draft system used for the first fight is repeated with the remaining unused maps in this BO3. This time, it's the losing team from the second fight that decides whether to start the draft or not. Between each match, players have the right to a 15-minute break before launching the next fight. They are also permitted to change their equipment. Players that qualify for the quarterfinals must be available during the two scheduled time slots (Thursday, May 10 and Friday, May 11). Players that qualify for the semifinals and finals must be available during all times scheduled in the calendar. If the 1 p.m. match ends later than expected, the 4 p.m. match may be pushed back later in the day. Champion Shield that grants the exclusive title "Abyss Master"
Abyss Shield that unlocks the title "Abyss Fighter"
5 scrolls that unlock the title "Abyss Survivor"
The aforementioned prizes are awarded per team member. The prizes are strictly personal and non-transferable and therefore can not be sold, exchanged, loaned, assigned or transferred to or benefit any third party, ascendant, descendant, beneficiary, or other person for any reason unless otherwise stated by the Organizer. The prizes awarded to the winner's Ankama account are not under any circumstances transferable to another Ankama account, whether it belongs to the winner or not, unless otherwise specified by the Organizer. The Organizer reserves the right to suspend, cancel, or delete any prize (in whole or in part) if it suspects that an aforementioned action has been performed or attempted, for the entire duration of the prize's validity. 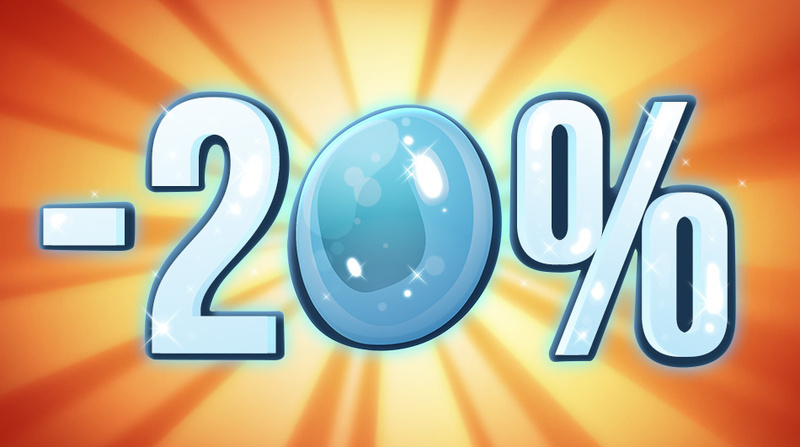 The winner may not claim any compensation when or if the MMORPG DOFUS Touch stops being published and/or distributed in its current form or in any other form. Up to €200 (two hundred euros), including tax, OUTBOUND TRAVEL from the train station or airport closest to the winner's place of residence to Roubaix, and RETURN TRAVEL from Roubaix to the train station or airport closest to the winner's place of residence for 1 (one) person (hereinafter, the "Trip"). The Organizer is solely responsible for choosing the means of transportation for the Trip, and the Organizer reserves the right to combine multiple means of transportation. Organizing and reserving the Trip will be done by the Organizer. Breakfast for 1 (one) person on the day of the visit, organized by the Organizer. Players will need to provide the information necessary to make the reservations in a timely manner. Any winner who does not respond within 5 (five) days of when the Organizer contacts them to confirm the details of the Trip, may forfeit their award, in whole or in part. If the winner is under the age of majority, they must imperatively send the Organizer, prior to the reservation of transportation and lodging, the parental authorization form and liability waiver furnished by the Organizer, duly completed and signed by his/her parents, custodian(s), or legal guardian(s). It is the winner's sole responsibility to verify that the documents and paperwork necessary for him/her to receive the prize are in order and that he/she is available on the scheduled day. The Organizer may not be held responsible should the winner does not have the necessary valid documents and paperwork in order or does not make him- or herself available to receive the prize, in which case the prize shall be deemed forfeit. Should the winner be unable to or not wish to take possession of the prize, he/she shall not be entitled to compensation of any sort. The Organizer shall not be held responsible for any delays, cancellations, strikes or other events outside its control that may affect the chosen means of transportation. The Organizer only agrees to cover the winner's travel costs for the Trip up to a total maximum amount of two hundred (200) euros including tax (excluding meals). If the value of the expenditures exceeds this sum of two hundred (200) euros including tax, the winner in question must cover the overage out of their own pocket. IT IS STIPULATED that the visit has been scheduled for Friday, June 29, 2018, and that this date may be subject to modification. In which case, the winners shall be notified in a timely manner. If the winner is not available on the new date set by the Organizer, and no agreement can be reached in good faith between the winner and the Organizer, or the winner does not respond to the Organizer within the necessary time frame, the prize shall be forfeit. In the event of a voluntary disconnection during a game, or the voluntary departure of a player from a team, the game is interrupted and the other team is declared the winner of the match. Any player who is absent during a call for a match, without the Tournament administrator's mutual consent, will be declared forfeit after a 10-minute grace period, and will therefore be eliminated from the phase in question. In the event of adverse incidents beyond the control of players, such as untimely disconnections or continuous latency issues, the players are encouraged to contact a Tournament administrator. It is up to the Tournament administrator to make any decision necessary to complete the match (hold a rematch, or declare one of them the winner, or any other decision). Their decision is final and not subject to appeal. The Abyss Joust is subject to a series of rules designed to ensure that the event goes smoothly. Violations of these different rules will result in the application of sanctions by the organizers. All participants agree to comply with the code of conduct as set forth in the regulations. All the participants, commentators, and organizers must treat the other participants, commentators, and organizers (and the rest of humanity) with respect. Any insults or provocative behavior will be sanctioned. All participants must consult the round schedule before the tournament and between each turn, and be present and ready to start their fight at the appointed time. All participants must systematically complete the end-of-fight form after each match. Incomplete teams are not permitted to fight. They are declared forfeit and eliminated from the tournament. During the rounds phase, fights will never be restarted, nor paused, even in the event of bugs or connection problems. During the final phases, the "pause" command may be requested by the players in the event of bugs with the match referee; and the organizers will consult to determine whether to restart or continue the match. Each team is allowed 15 minutes of break time spread over the entirety of their BO3. Any inappropriate requests to pause the game may be sanctioned. The pause command is activated at the end of the active player's turn. Multi-accounting is forbidden: Any given player may only play on one account. You may not have two or three accounts that belong to the same person on the same team, even if they are using different connections. All sanctions will apply to the entire team, even if the infraction was committed by a single player. Recidivism is counted towards the whole team as well. Without prejudice to the sanctions set forth in the ToU, the organizer reserves the right to take any appropriate measures in the case of non-compliance with the code of conduct, whether this concerns behavior listed in the regulations or behavior that disrupts, or is likely to disrupt, the smooth operation of the game. Warning: Without direct consequence, warnings are, however, recorded and may lead to more serious sanctions for the team in the case of repeat offenses. Imposed Defeat: The team that committed the violation is automatically considered the loser of the fight in progress or of their next fight. Elimination: The team that committed the violation is eliminated from the tournament. Disqualification: The team that committed the violation is eliminated from the tournament and excluded from any rewards, and each team member receives a sanction on their Ankama account. Uncompleted form: The team has not filled out their end-of-fight form. Form completed incorrectly: The team filled out the end-of-fight form, but the given result is incorrect. Insult or provocation: One of the team members has insulted or provoked another player, a commentator, or an organizer. Lateness: The team has not arrived for the battle at the set time, is incomplete or did not click on "Ready" in time, and the battle starts more than 5 minutes late. Absence: The team did not show up for their fight at the scheduled time, or was incomplete, and the fight could not be played. Misuse of a gameplay system: The team deliberately misuses a faulty system in the game during a fight to get the drop on their opponent. Multi-accounts: The team has played a fight using a multi-account. Prizes cannot be reimbursed, replaced, or exchanged, and no cash equivalent will be awarded, under any circumstances whatsoever, even in the event of force majeur. Prizes in kind are not subject to any guarantee. The Organizer cannot be held responsible if, for reasons beyond its control, the competition, its terms and/or the prizes must be delayed, modified, or canceled, in part or in whole. The Regulations are available on the site www.dofus-touch.com. A copy of the Regulations may be sent free of charge to any person who requests it. Such requests must be mailed to the following address: ANKAMA GAMES, Service Tournoi / Concours - Règlement, Dofus Touch "The Abyss Joust", 75 Boulevard d'Armentières BP 60403, 59057 Roubaix Cedex 1 France. Postal fees related to any requests for a copy of the Regulations will be reimbursed provided that these requests are made in writing and mailed to the Organizer, and that they include the full contact information of the person making the request (first and last name, address, postal code, city/town), and limited to one request of the same nature per household (same name, same address). These fees are reimbursed based on the regular postal rate for letters under 20 grams on the day the Regulations take effect. Contestants are responsible for the security and stability of their internet connection. Any defeat resulting from a connection problem or external attacks will not be sufficient grounds to restart the fight, and Ankama shall not be held responsible for any damages caused. We strongly advise against the use of peer-to-peer voice chat software (such as Skype), which makes it easy for ill-intentioned people to recover your IP address. You should use programs that operate via server (such as TeamSpeak or Discord), choosing your server carefully, of course. In unforeseen circumstances and faced with a situation where it is necessary, the organizers reserve the right to modify all or part of these regulations in the aim of ensuring the continuity of the event under the best possible conditions. Participation implies understanding and accepting the characteristics and limitations of Internet, the absence of protection for certain data against possible misappropriation or piracy, and the risks of contamination by viruses that may be present on the network. It is, therefore, the responsibility of each player to take all appropriate measures to protect his or her data. The Organizer shall not be held responsible in the event that a malfunction on the Internet network prevents access to or proper operation of the Tournament. Players are responsible for the security and the stability of their internet connections. Any defeat resulting from a connection problem or external attacks will not be sufficient grounds to relaunch the fight, and the Organizer shall not be held responsible for any damages caused. In the event of a computer virus, external attack, fraud, or technical malfunction, the Organizer reserves the right to cancel or modify the terms of the Tournament at its discretion and shall not be held liable therefor by the players. It reserves the right, under such circumstances, to not award the prizes and/or to bring proceedings before the relevant courts against the parties who have committed such acts of fraud. The Organizer shall have final say over the settlement of any dispute relating to the Tournament and its Regulations. No reply will be given to any request by telephone or in writing concerning the interpretation or application of the Regulations, the Tournament mechanisms and/or modalities, or the awarding of prizes. any person who has registered a third-party. The Organizer may not be held liable for the above, and the players cannot therefore claim any compensation or indemnity of any nature whatsoever. The Regulations are subject exclusively to French law. Any dispute or claim in relation to this Tournament must be submitted in writing and sent to the address given in article 1. It will not be taken into consideration after a deadline of one (1) month after the closure of the Tournament. Jurisdiction over any dispute arising from the execution or the interpretation of these Regulations lies with the relevant courts of the Lille Metropolitan Area, even in the event of multiple defendants, incidental claims, or third-party proceedings.